December 20, 2014 | An interview with Sondra Erickson by Darcy Blake | Lynn Fielder was diagnosed with Parkinson’s Disease at age 30, 22 years ago. For several years her husband, Kurt, raised money for PD research twice a year by running the New York marathon for Team Fox and a San Francisco half Marathon for Team Parkinson. 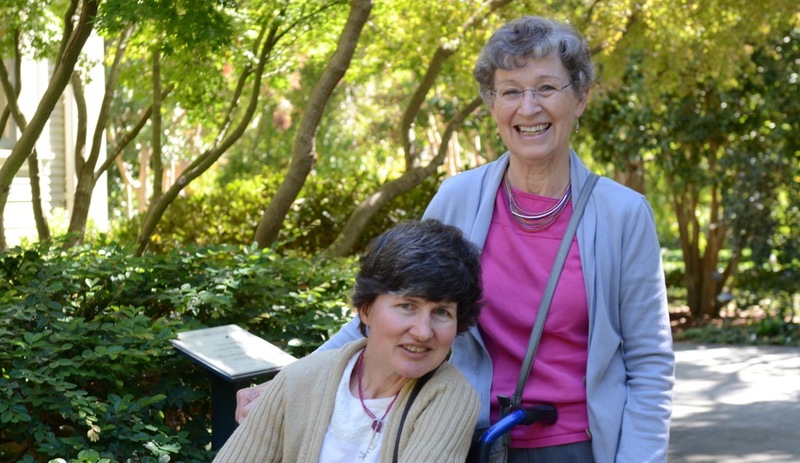 On April 25, 2015, in honor of her daughter, Sondra Erickson will participate with Parkinson’s Women Support friends by joining a fundraiser walk event, Moving Day @ Silicon Valley, sponsored by the National Parkinson Foundation. In addition to a choice of one-, two- and three-mile walk routes, volunteers are putting together educational and participatory tents and pavilions that add to the Moving Day experience. Lynn, Lynn’s daughter Maya, and mother have advocated for years for increased awareness, support and more research for PD. Each year a declaration is made that finding a cause or great progress for the disease is only 5 years away. Lynn has waited for several 5 year increments. This year, research has found encouraging breakthroughs on several levels. “Contributions to the National Parkinson Foundation will bring about continued awareness and research, vital to help Lynn and others,” said Sondra, a retired nurse. To join Sondra on the walk (she’s walking with the Parkinson’s Women Support team) or to help with a donation to the National Parkinson Foundation, visit Moving Day @ Silicon Valley. Registration opens at 9:00 am, the walks begin at 10:30 am, and the event concludes by 1:00 pm. For questions about the event, contact Colleen Fischer, Moving Day® Bay Area Coordinator, 925-421-6737, cfischer@parkinson.org.